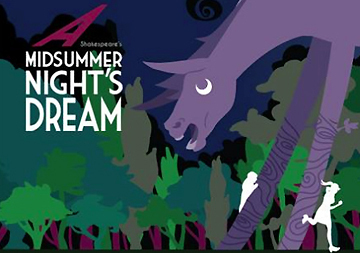 Brown Box Theatre Project is continuing its 2013 season with Shakespeare’s "A Midsummer Night’s Dream" being presented in outdoor locations throughout South Boston, Dorchester, Hyde Park and Fort Point. All performances are open to the public and free of charge. Brown Box has also been awarded a grant from the City of Boston’s Fort Point Channel Watersheet Activation program to stage three free performances at Children Wharf’s Park, outside the Boston Children’s Museum, the weekend of August 23. • August 23 - Children’s Wharf Park (Boston Children’s Museum) - 6:30 p.m.
• August 24 - Children’s Wharf Park (Boston Children’s Museum) - 1:00 p.m.
• August 24 - Martini Shell Park, 1015 Truman Parkway, Hyde Park - 7 p.m.
• August 25 - Children’s Wharf Park (Boston Children’s Museum) - 1:00 p.m.
• August 30 - Still Harbor, 666 Dorchester Ave., South Boston - 7:00 p.m.
• August 31 - Carson Beach, South Boston - 2:00 p.m.
• August 31 - Still Harbor, 666 Dorchester Ave., South Boston - 7:00 p.m.
• September 1 - Marine Park, 150 Farragut Road, South Boston - 2:00 p.m.
• September 1 - Still Harbor, 666 Dorchester Ave., South Boston - 7:00 p.m.
, a graduate of Emerson College, founded Brown Box Theatre Project in 2010 with the goal of bringing the performing arts to communities and audiences that usually lack access to live theatre. This year’s performances at The Children’s Museum are just one stop in Brown Box’s Shakespeare at the Beach tour, a program that brings free Shakespeare productions directly into communities and schools. Other locations on the tour include Martini Shell Park, Marine Park, Carson Beach, and Still Harbor in Dorchester. Following their Boston performances, the Brown Box cast and crew will pack up and continue their tour on the eastern shore of Maryland and Delaware. For more information about Shakespeare at the Beach and Brown Box Theatre Project, visit www.brownboxtheatre.org.